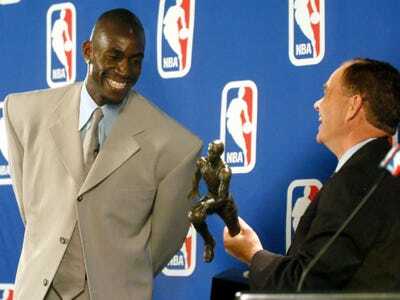 APKevin Garnett has a lot to smile about. 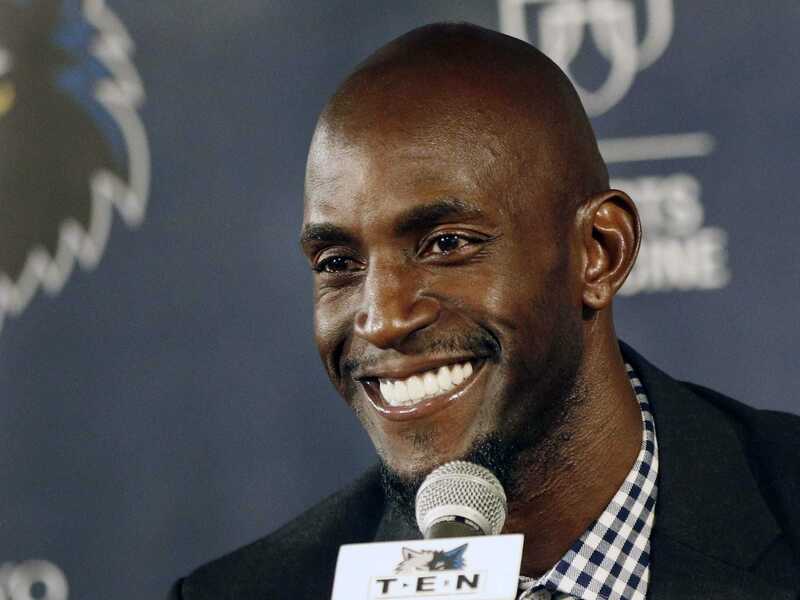 Kevin Garnett has signed a contract to return to the Minnesota Timberwolves on a two-year deal that will increase his career earnings to $US343.4 million, the most in NBA history. 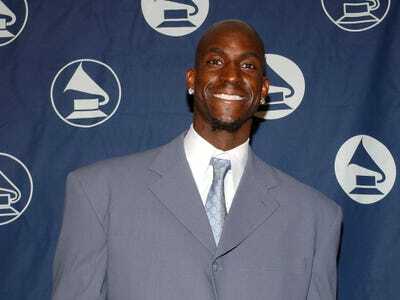 Garnett has never been considered one of the five or 10 best players of all time, but he has used talent and some good fortune to make nearly $US330 million and counting. Let’s take a look at how more than once, Garnett was just the right player, in the right place, at the right time. At 19, he chose to enter the NBA draft after failing to reach the minimum score on the ACT necessary for NCAA eligibility. 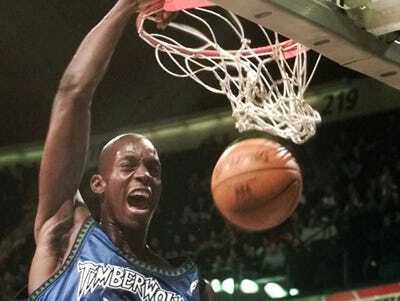 The Minnesota Timberwolves made Garnett the fifth pick of the 1995 NBA Draft. 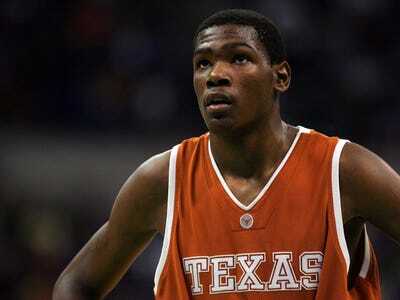 Ten years later, the NBA banned high school players from the draft and players like Greg Oden and Kevin Durant had to go to college for one year. Garnett's three-year, $5.4 million rookie contract was modest by today's standards, and he made just $1.6 million his rookie season. 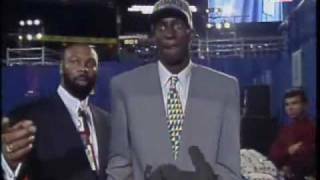 Garnett was incredibly lucky to be drafted in 1995, which came during a brief period in which players were granted free agency after just three years. 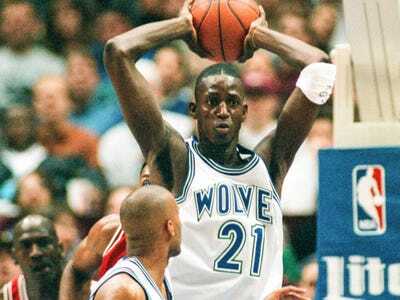 This allowed Garnett to sign a six-year, $126 million extension during the 1997-98 season at the age of 21. 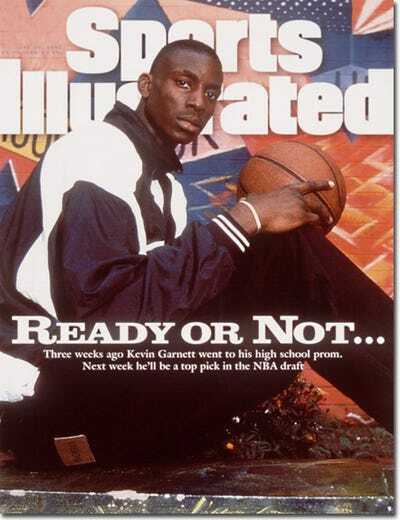 With Garnett's contract a major factor, the NBA changed the rules on rookie contracts and put a cap on player salaries, but not until a new Collective Bargaining Agreement was reached following the 1999 lockout. 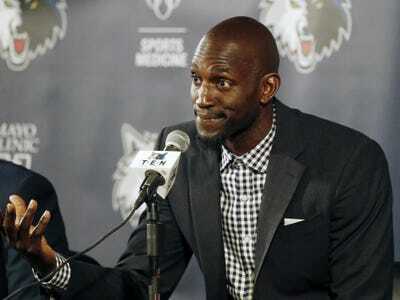 By the final year of that deal, Garnett was making $28 million per year. 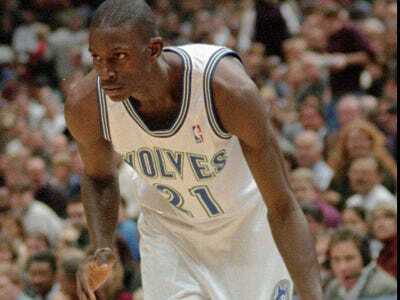 More importantly, Garnett was just 27 years old, was in the midst of his only MVP season, and was about to become a free agent for a second time. 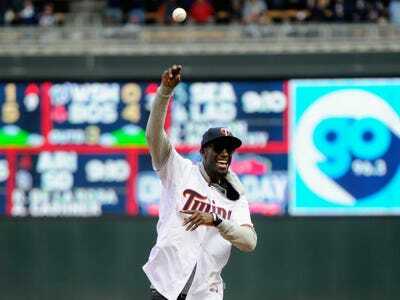 This led to his second $100 million contract extension with the Timberwolves, a five-year deal worth exactly $100 million. 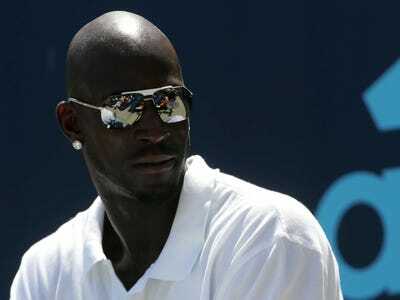 After the third year of that contract, Garnett was traded to the Celtics having already made $186.4 million with the Timberwolves. He was just 31 years old. The Celtics immediately gave Garnett a three-year, $51.3 million extension to be added to the two years remaining on his last deal with the T'wolves. 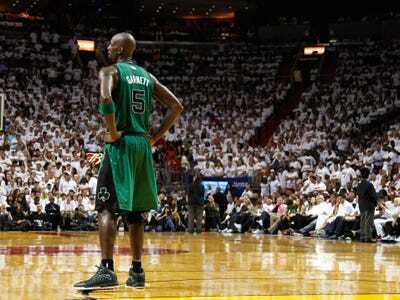 It was with the Celtics that Kevin Garnett won his only NBA title in 2008. 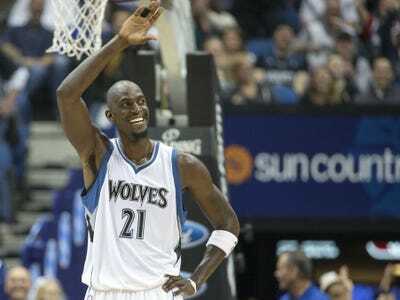 Garnett nearly retired after the 2011-12 season with $278.9 million in career earnings. However, he decided to re-sign with the Celtics with a three-year, $36 million contract as Boston tried to make one more run with their ageing roster. 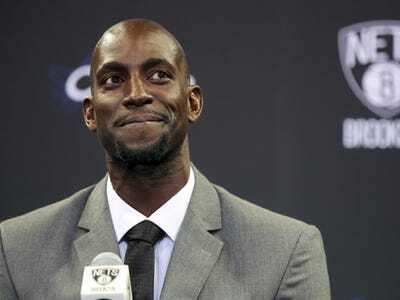 After one season on the new contract, Garnett was traded to the Brooklyn Nets in a blockbuster deal that included eight players and three first-round draft picks. That trade turned into a complete disaster in just the second season. 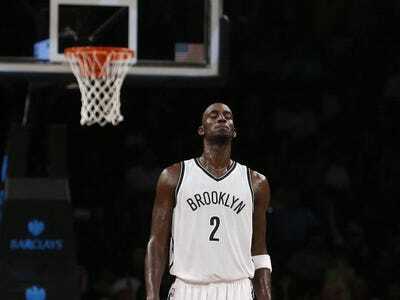 Garnett was the final asset the Nets had from the trade and it was clear it was time to move on. 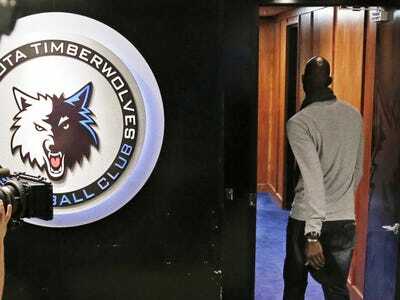 Garnett came full-circle and agreed a trade to send him home to the Minnesota Timberwolves in 2015. 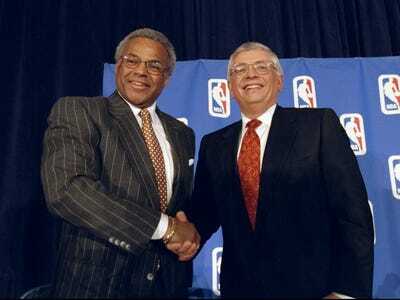 At the time, the plan was to play two more seasons for the rebuilding T'wolves and then form a group with coach and team president Flip Saunders to buy the team using the more than $300 million he had already made as a player. Garnett decided to play at least one more season and possibly two, signing a two-year contract worth $16 million for what would be his 21st and 22nd seasons in the NBA. 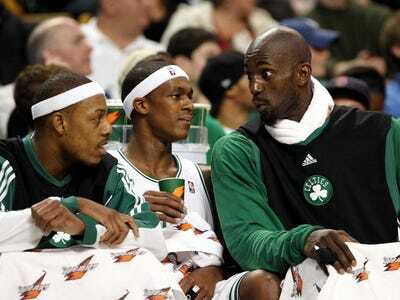 Garnett would be 41 at the end of the contract. However, he can choose to take a front office job in the second season if he decides not to play. 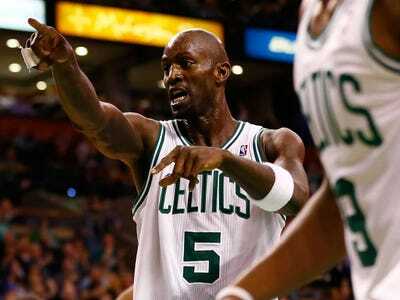 If he sticks around for two more years, Garnett will walk away having made $343.4 million in his career as a player. Maybe he can then give baseball a shot. 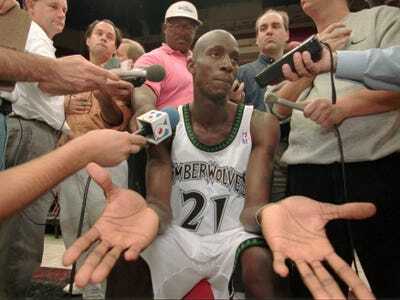 Now check out what happened to the other players in Kevin Garnett's draft class.